Capturing issues in JIRA is likely a key part of your process. They keep everything needs to be completed organized and tracked and you may even log your time and pay your employees via time logged to JIRA tickets. 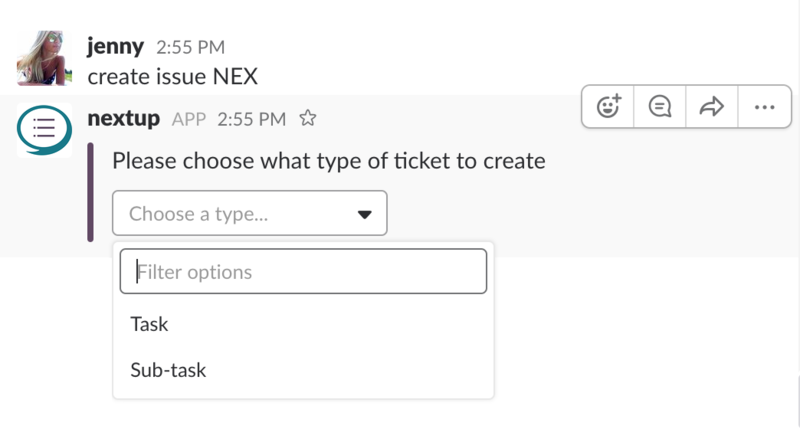 Nextup allows you to do this directly from Slack without switching to JIRA and changing context. 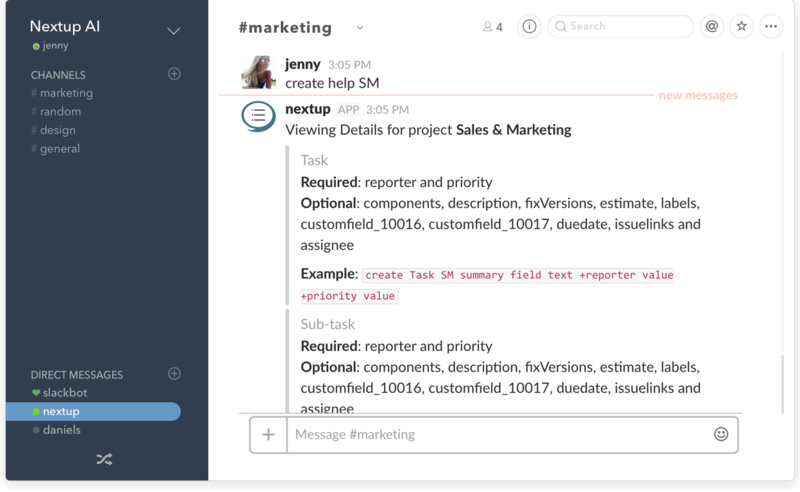 Dialogs make it easy to create Jira issues from Slack. Follow the simple steps below to get started. 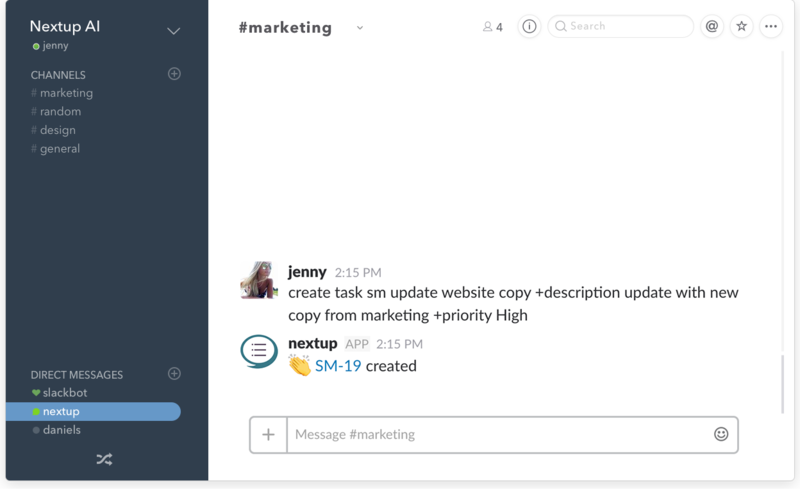 Let the bot know you want to create an issue with create issue +project or create issue - to see all projects you can access. Use the dropdown to select the type of issue. These options change based on your Jira configuration. Enter your information and then click the Create button or hit enter. When creating a sub-task issue change the input to be create issue TIC-001 where TIC-100 is the parent issue. You will then see a dropdown with sub-task as the issue type. Creating issues from Slack is easy to get started with, use the simple process below to start creating issues and read more to find out how to support complex scenarios. Your setup in JIRA may have some additional required fields when creating issues. The Nextup JIRA bot will find those fields when it attempts to create the issue and will let you know what fields are missing. 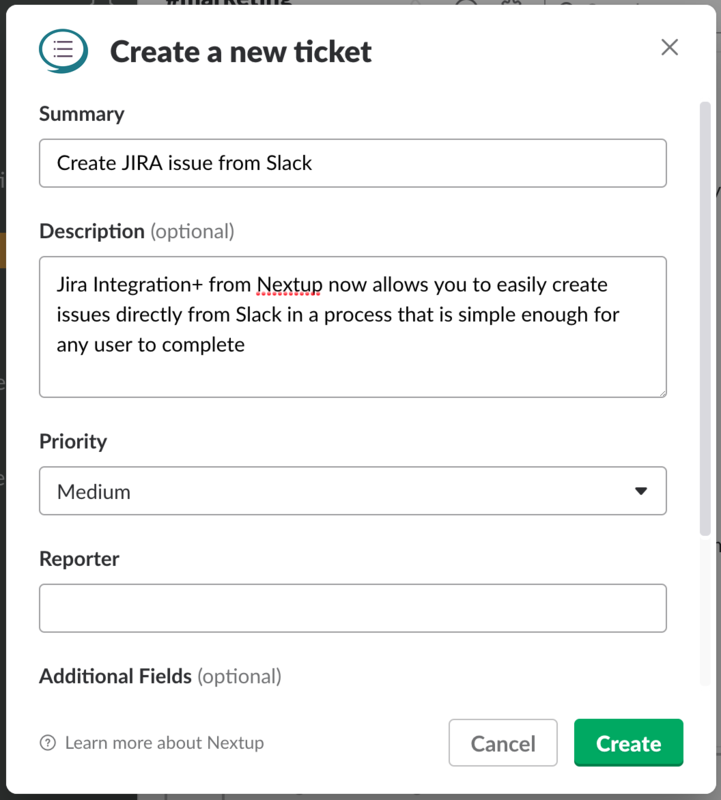 JIRA allows you to create custom fields via configuration and you may want to set those fields when you use Nextup to create issues from Slack. The JIRA API (see how it works) has some constraints that require a unique syntax. Use the information below to master custom fields. The message looks like customfield_10019: Version is required. If your custom field is a dropdown you can tell the bot you want to use the label for the field to set the value by using an = sign. 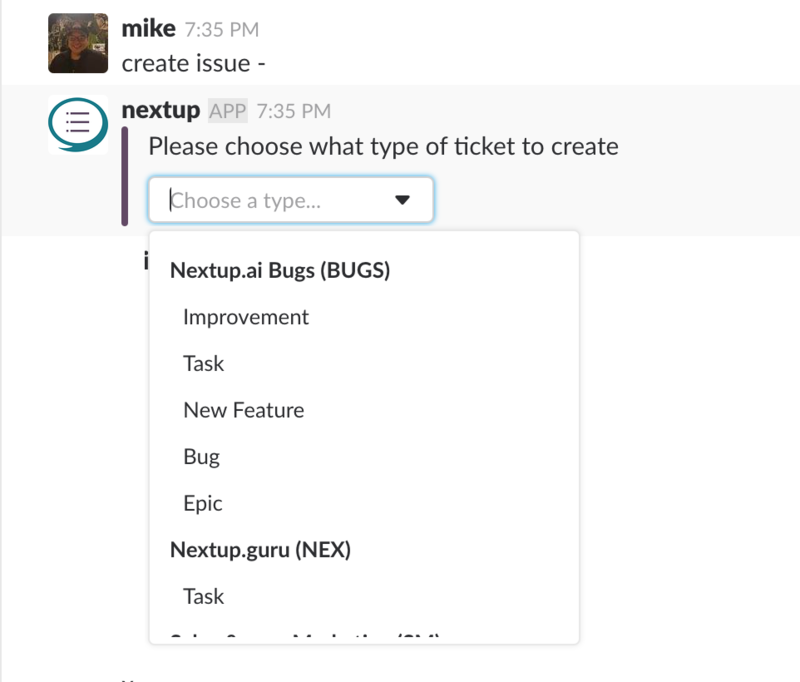 The bot has a built in way to help you in the process of creating issues. This message will cause the bot to provide all the required fields by issue type for a specific project in JIRA (they can be different by project).